In September 2015, Witness and Papo Reto received the Brazil Foundation's International Philanthropy Award for their role in using videos to document human rights abuses and holding perpetrators of violence accountable. 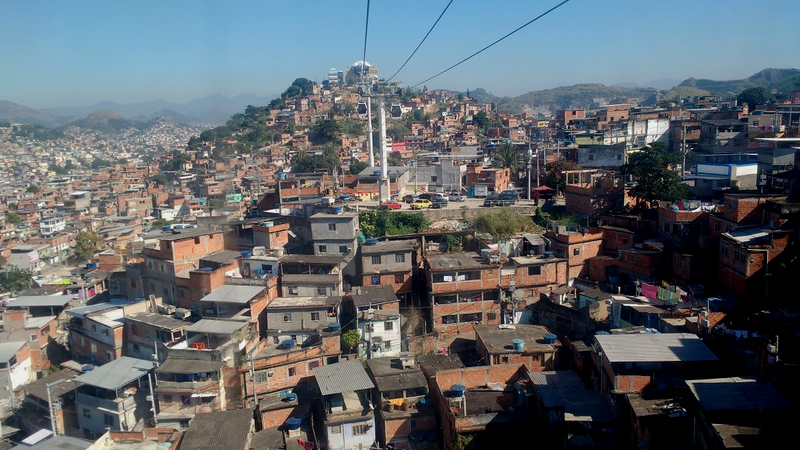 "No newspaper or television reporters would set foot in Alemão, so they would take it upon themselves to report the news from their favelas. Their intention was to draw attention to the conditions in Alemão — the blackouts, the curfews, the suffocating police presence"
"Killings have happened here for years, but because of the democratization of social networks, alternative communication, and everyone with access to mobile phones, things have become a lot more visible". "I do believe the government is preparing itself to surveil people working in alternative media. But we will keep fighting for our rights" (Raull Santiago). Online Activism award, sponsored by Deutsche Welle, the German International Broadcasting Service. I keep working to help build a society where people recognise that the favela is not a problem: it's the solution. Raull Santiago is a human rights defender from Rio de Janeiro. In March 2014, he co-founded the collective Papo Reto (Straight Talk), a group of citizen journalists documenting life in the Complexo do Alemão favela. 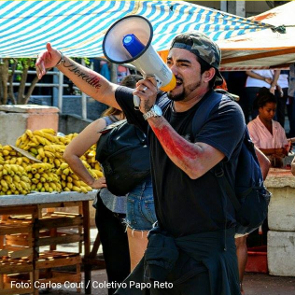 The intention of the group is to draw attention to what is happening in Alemão, highlighting the cases of police violence and other human rights abuses, which tend to be ignored by mainstream media. Their slogan is: Nós por Nós (Us for Us), as the content they share is produced by residents living in the favela and dedicated to them. Within weeks from its creation, Papo Reto started receiving photos and videos documenting police raids and attacks against local residents, which were then disseminated through Whatsapp groups, Facebook, and You Tube. Papo Reto members use their WhatsApp group also to share information about shootouts and other possible immediate dangers, to help residents stay safe. One of the aims of the collective is to hold authorities accountable. Thanks to Papo Reto’s reporting on the killing of 10 year-old Eduardo de Jesus, who was shot by a police officer in April 2015, the government launched an official investigation. A few months later, however, the authorities concluded the police officers were acting in self-defense and did not charge them. Raull Santiago is also working on the project Da Proibição Nasce o Tráfico (“Trafficking Is Born of Prohibition”), launched by the Center for Studies on Public Security and Citizenship (CESeC), where he has brought the perspective from the favelas and highlights the consequences of the so-called 'war on drugs' for the favela residents. Because of his work, Raull and other members of Papo Reto have often faced threats and intimidation.